By the time I was living with my grandparents again, they had long left the slightly-pointless-but-still-pretty-cool five acre property outside Tin Can Bay. They were now living in a place that…well, it’s not the worst place I’ve ever lived (that’s comes up in story #24! 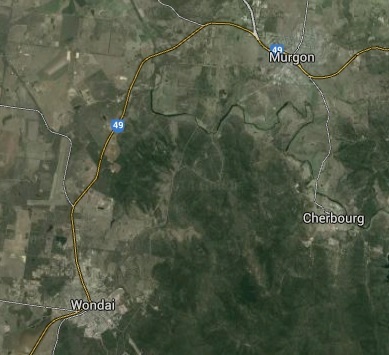 ), but it’s definitely Top Five: Murgon, Queensland. Murgon did not seem like a happy town. At least, nobody I knew was happy there. I think the name is to blame. Just saying it feels like a downer. Try it right now. Say “Murgon” out loud. Your mood just dropped a bit, right? 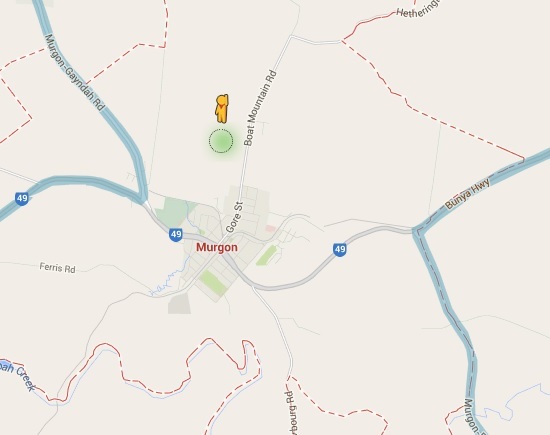 That’s how bad Murgon is. In fact, while sourcing images for this very story, I discovered that the Google Street View vans didn’t even go into the town. They could sense from the highway that it was a dodgy place, and simply drove around it. Or did the vans just avoid the town because they think my grandparents still live there? The reason they’d ended up in Murgon is because Grandad was working for his brother in the meatworks. Yes, the meatworks. Murgon was a town with a meatworks. Murgon was also a town with a high school that had a terrifying reputation; so much so in fact that my grandparents enrolled me in school in Wondai; the next town over. Every day they would drive the fifteen minutes to Wondai to drop me off, and pick me up again in the afternoon. These were my options at this stage of my childhood. Live in Darwin with a man I hated (and who didn’t think much of me either), or live in a town where the school was apparently so dangerous I had to be enrolled in school with a different postcode. Apart from my Grandad’s brother and his wife, my grandparents had only two other friends: a married couple called Don and Barb, and they were capital Religious with a capital “God”. I can’t remember precisely what their particular flavour of divinity was, but whatever their religion, it was against it to watch TV, or listen to the radio. This particular quirk aside, they were quite nice people, and they would regularly drop by for visits. Unfortunately, my grandmother is a social polymorph: she takes the opinions, characteristics and social cues from the nearest person and makes them her own. Whether it’s out of desperation to impress her friends, or simply an absence of any of her own convictions, I don’t know. All I know is that this habit does not apply to the opinions of family members. In fact, quite the opposite. But I digress. Actually, I’m just going to double down on that digression real quick and swing back around to the high school thing: My grandparents were no strangers to unusual high school choices. Only a year earlier, after finishing grade seven at Tin Can Bay State School, my grandparents had insisted I enroll at James Nash High, even though every other kid in my class (literally, every. single. one) was enrolling at Gympie High. My grandparents’ reasoning? Gympie High was “common”. And how did they reach this conclusion? Some lady next to them in a bank queue had said “Oh, your grandson goes to high school next year? You must send them to James Nash. So much better than that awful Gympie High” and my grandmother’s social polymorphism threw itself into high gear. A perfect stranger had recommended a thing, with a hint of classism! 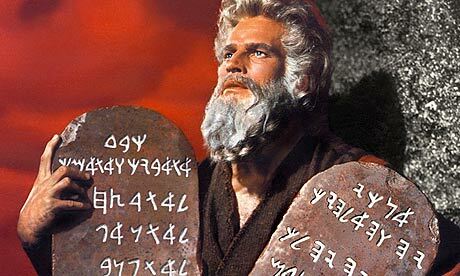 That lady may as well have been Moses, with “JAMES NASH” etched on a slab of rock. It’s just one commandment now: THOU SHALT SEND THINE GRANDCHILD TO THINE NEAREST DINGUS HIGH SCHOOL. FUCKETH HIS FRIENDS AND FRAGILE PUBESCENT DEVELOPMENT. THINE NEIGHBOURS SHALT THINK THOU ART BETTER CLASS OF PEOPLE! THOU ART HYACINTH BUCKET okay I’m getting carried away now. The upshot of this is I had to leave behind all my friends, and break up with my girlfriend Felicity (shut up), and start a brand new high school completely alone, because of some biddy in line at Westpac. In hindsight, my grandparents were not to be trusted with ranking high schools. Maybe the school in Murgon would have been fine? Not that it matters: choosing between going to school in Murgon and going to school in Wondai is like choosing between eating an old boot and eating a slightly newer boot, so really. Okay now I’m done digressing. So: my grandmother is a social polymorph, and it was against Don and Barb’s religion to watch TV. This meant that whenever Don and Barb came over to our house, our television ceased to exist. She didn’t physically remove it from the house or anything (though you know she really wanted to); it would just never get turned on on days when Don and Barb were due to visit. And the entire time they were in our house, you could see in her eyes that she was trying to will the television out of existence. She couldn’t even look in its direction. Her eyes would never stop on it; they would glide smoothly over it, like hands over wet soap, coming to rest on something a lot more biblical, like a teapot or ceramic frog. 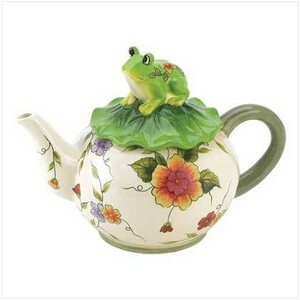 Well, it was a grandparenty house: look anywhere and you’d catch either a teapot or a ceramic frog. The effects of this social polymorphism would last long after Don and Barb left, too. She’d start making snippy comments about the “idiot box”. She’d talk about how much more fulfilling it was when she was growing up and there was no TV. Sometimes things would take a drastic turn, and she would leave the TV off well after 6pm, meaning she was voluntarily missing the local news. Gestures don’t come much more emphatic than that. However, for all her anguish, my grandmother was still a woman of habit. Even on those dark, angry evenings when the local news was skipped, and we were a full 24 hours behind on the happenings of the South Burnett region (drought and cows: there, all caught up again), the TV would still end up switched on eventually. Every night. Which provided delicious entertainment when Don and Barb stopped by unexpectedly. There we’d be, caught in the act: absorbing sin directly from the screen in our own homes. In a panicky flash, the TV would be turned off before they came into the lounge room. My grandmother would fly over to the dining table where a half-finished jigsaw puzzle provided the perfect cover. However, fifteen-year-old CRT TVs don’t just wink off quietly. They leave a visible dot in the centre of the monitor, the screen crackles with static, and then they have to cool down. It’s very hard to pretend something doesn’t exist when the object of your denial is going TICKATICKATICKATICKATICKTICKA TICKA TICKA TICKA TICKA TICKA TICKA TICK-TICK-TICK… TICK…TICK…..TICK…….TICK……….. Stumbled upon this little gem when I was trying to describe to someone where I live. I laughed. I laughed looooud.